In 2015 we decided the time was right to bring a herdsire of the highest quality into our herd. 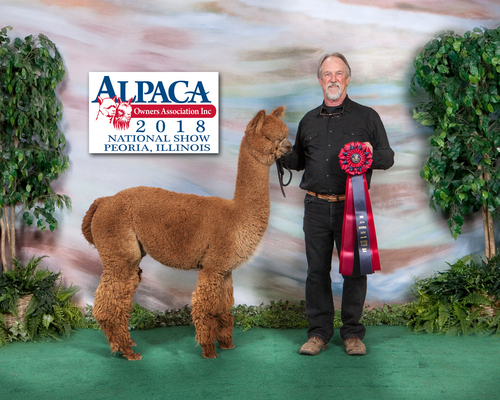 After much consideration we pulled the trigger and bought half interest (proudly co-owned with Snowmass Alpacas LLC) in Snowmass Velvet Touche (Son of Snowmass Touche (Sire) and Snowmass Royal Splendor (Dam)). We loved him SOOO very much we bought the other half. 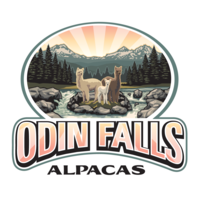 He is now solely owned by Happy Hounds Alpaca Ranch. We purchased “Lily” and her mom at the 2013 Priority Auction in Las Vegas. While her mom still resides at Crescent Moon, Lily has found her way onto our 2013 show string. 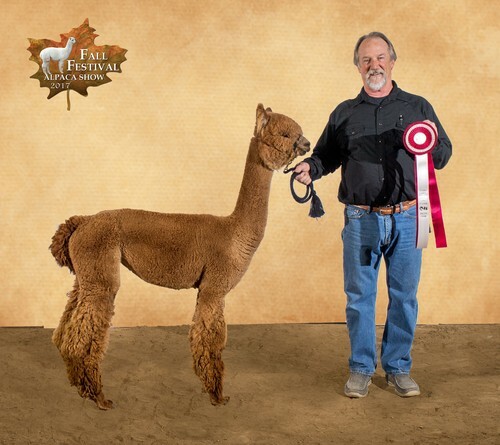 Her fleece is unbelievably bright, with a high frequency, high amplitude crimp style that is very consistent from skin to tip and head to tail. She has an extremely long staple length and super soft handle. Combine her fleece characteristics on a sturdy, square frame and she is the total package for us. H2R Primrose is exactly what Happy Hounds Alpacas was asking for when they combined there Full Accoyo Dam, Crescent Moon's Calla Lily and the Incredible Snowmass Velvet Touche. 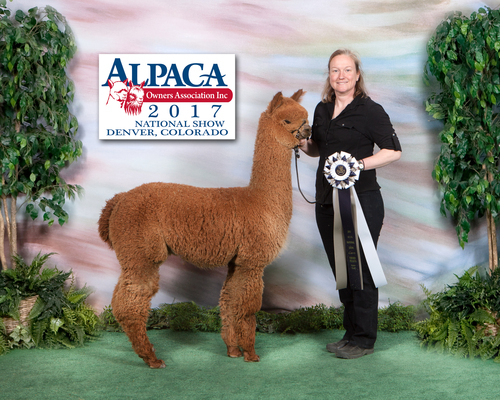 They were gifted with an exceptional brown Girl that has a velvety soft fleece that is extremely bright, super fine with lots of bundles. Primrose has a beautiful stylish head, Great conformation, and nice big bones. 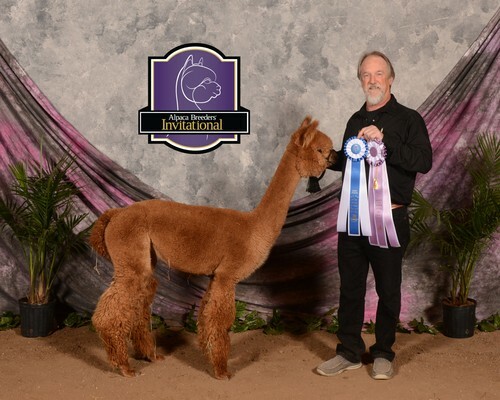 Odin Falls Alpacas was fortunate enough to purchase H2R Primrose at The Futurity Auction in 2017. When you look at her, the first thing you notice about her is that face. That lovable, squeezable, cute face. 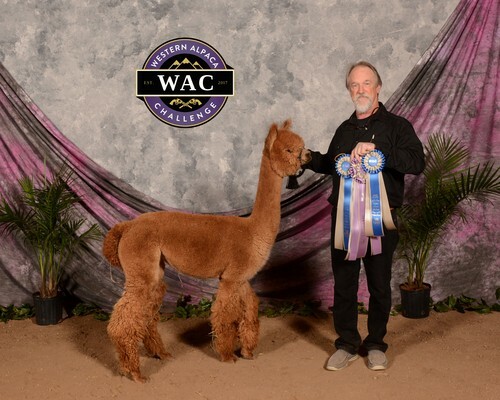 We are so happy to add these incredible genetics to our breeding program.